Today, I have something that is going to knock your socks off. 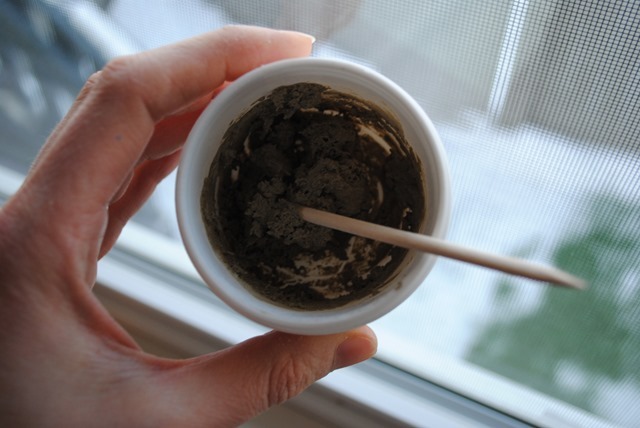 It’s super economical, and perhaps the best-working mud mask I’ve ever tried. 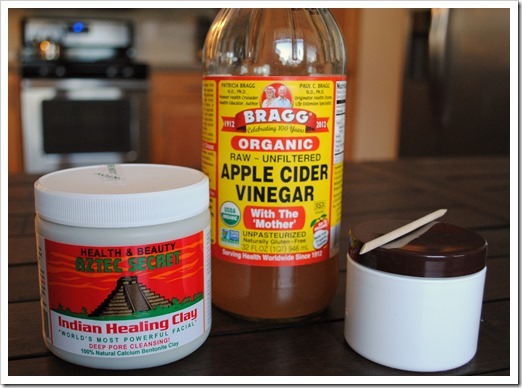 You have to mix it yourself, but it only takes two ingredients: Bentonite clay and apple cider vinegar (or water). 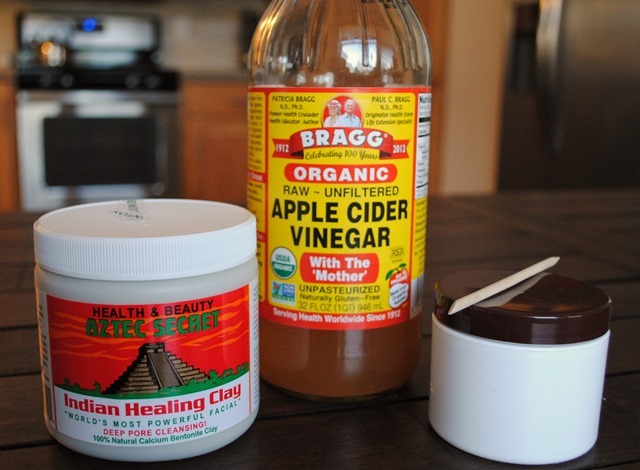 This mask does a great job of shrinking pores and improving the appearance of any impurities in your skin. I think it even reduces the appearance of fine lines. Fair warning about this mask – as it dries, it tightens on your skin, making it hard to hold a conversation. So, I apply it when I’m home alone to skip potentially awkward conversations that have me saying “mmm-hmmm” a lot! Give it a try and let me know what you think! 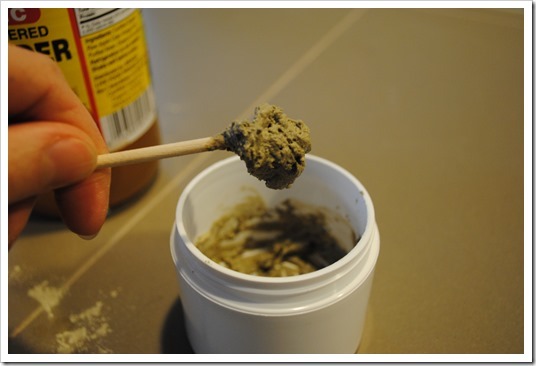 Method: Mix all ingredients in a small plastic or glass container with a non-metallic stirrer (good options: chop sticks, candy apple stick, cuticle stick), putting the bentonite clay in first. 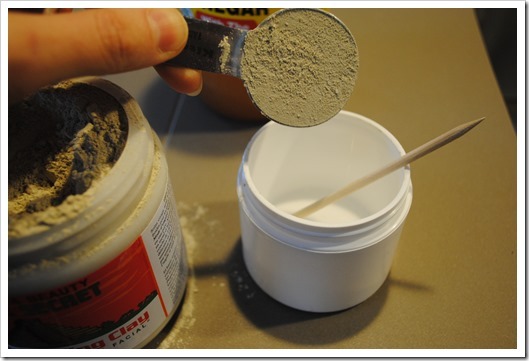 A re-sealable container is good because you can refrigerate what you don’t use and use it later. 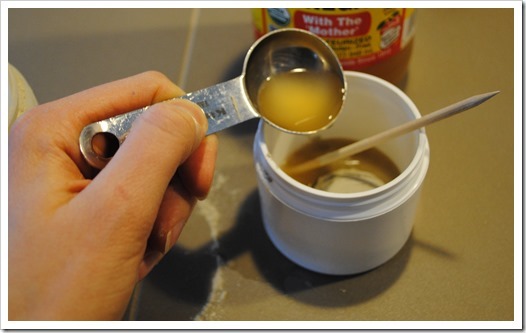 When you add the apple cider vinegar, the mixture will start to bubble. 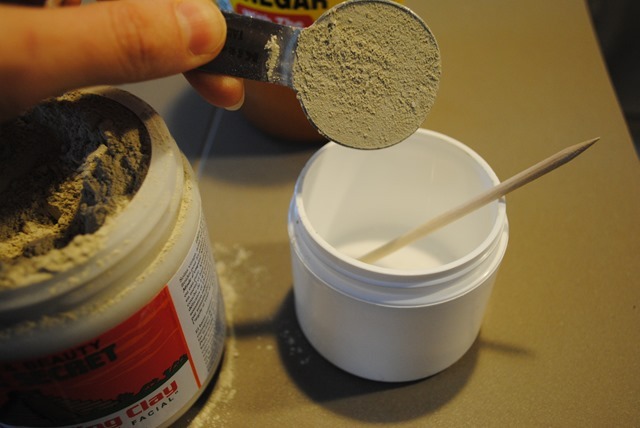 You can store unused mask in the refrigerator for a couple of weeks. Note: Your face may have a slight red color for about 30 minutes after removing the mask. This is normal. Second note: The container I use is recycled from some Tea Tree Oil face wipes I got at Trader Joe’s. Happy mud-masking! This must be awsome! 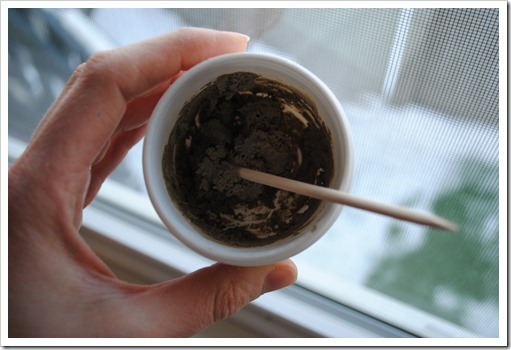 I’ve been using Queen Helene original Mud mask for almost 20 years and I love its simplicity. Gonna have to give this recipe a try. The oil won’t make the mask oily in any way? No, the essential oil does not make it oily at all. Go easy – only 1-2 drops, tops. I once added 5 drops of peppermint and it was WAY too strong! 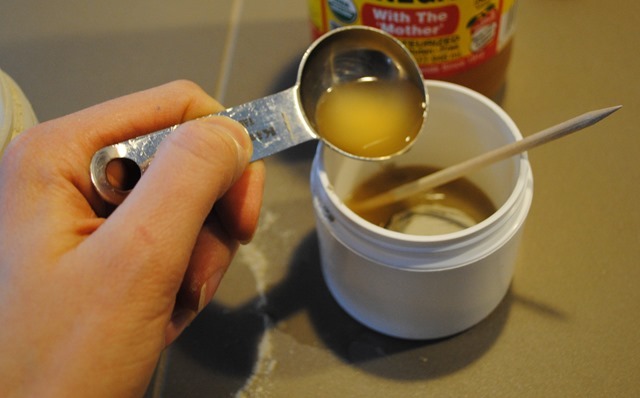 One drop is a good place to start and masks the aroma of the apple cider vinegar. Honestly, you don’t need the essential oil at all, if you don’t want it. Have fun! I swear you must be reading my mind sometimes! 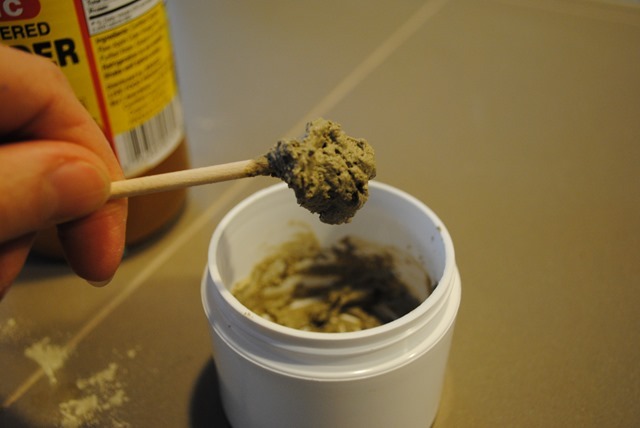 I have a jar of clay at home to make toothpaste and was curious what else I was going to use it for. Was just thinking about it the day before you posted this. I’ve heard that bergamot oil is good for skin so I think I’ll try it with that. Thanks! Hah, JoDee, that is awesome! !